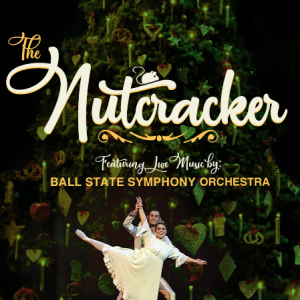 Tchaikovsky’s The Nutcracker provides the setting for a new collaboration between the Department of Theatre and Dance and School of Music. With live music by the Ball State Symphony Orchestra, performers will tell the story of Clara, the Mouse King, and the Nutcracker Prince. Join us for this unique and unforgettable kickoff to the holiday season.